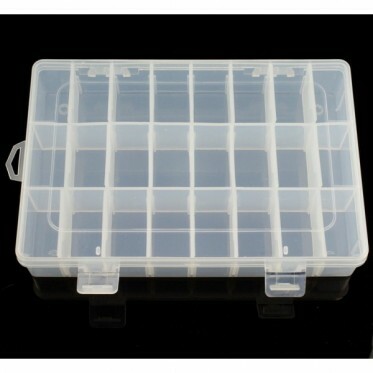 This is a parts box for securely holding small electronic components,screws and any small parts in individual compartments. There are 21 removable dividers used to vary the compartment size. It's a great tool to keep your desk or workshop organized.